Here’s an easy question: what’s the simplest yet probably the most important aspect of your dental care at Diamond Dental of Owings Mills? That’s right—the routine dental checkup and cleaning. Why? With these regularly scheduled appointments, Dr. Monica Mattson and her dedicated team of dental hygienists and dental assistants can closely monitor your oral health and react more quickly to any concerning changes. When you come to our office for the dental checkup Owings Mills trusts most—and in keeping with the recommendation of the American Dental Association, we’d like to see you and each member of your family twice a year—we’ll begin by talking to you. A vital part of a checkup is hearing from you; we can learn a lot from what you tell us about your oral health and overall well-being. Left untreated, this bacterial infection can ultimately lead to tooth loss, as well as other bodily ailments that can jeopardize your overall health, such as cardiovascular disease, diabetes, dementia and even premature birth. Therefore, the need to find and arrest the advance of gum disease is a critical part of a checkup. A precursor of gum disease is plaque, that sticky film that builds up on your teeth and easily traps bacteria. So, in addition to giving your teeth a good cleaning, a dental hygienist will also carefully remove this plaque and any tartar, which is plaque that has hardened. Another important component of your dental checkup is an oral cancer screening. According to the most recent estimates by the American Cancer Society, approximately 39,500 Americans will be diagnosed with oral cavity or oropharyngeal cancer in 2015 and, unfortunately, some 7,500 will die of these cancers. Most often, these cancers appear on the tongue, the tonsils and oropharynx, the gums, floor of the mouth and other areas of the mouth. Therefore, with a regular oral cancer exam, dentists are better able to spot these cancers early. At Diamond Dental of Owings Mills, Dr. Mattson and her team put a premium on oral cancer screenings, because they know that this simple step can prevent a most serious and sometimes deadly condition. Contact Dr. Mattson, the dentist Owings Mills, MD, knows for providing comprehensive dental checkups and hygiene. Call our office today to schedule your first appointment, or if you have any questions for the team. 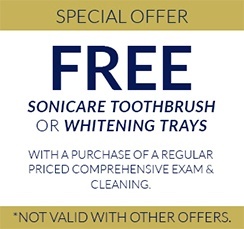 We can’t wait to make you a part of our oral healthcare family!